Other than the Green Goblin, there are very few foes of Spider-Man that I recall from the old 1966 TV show. 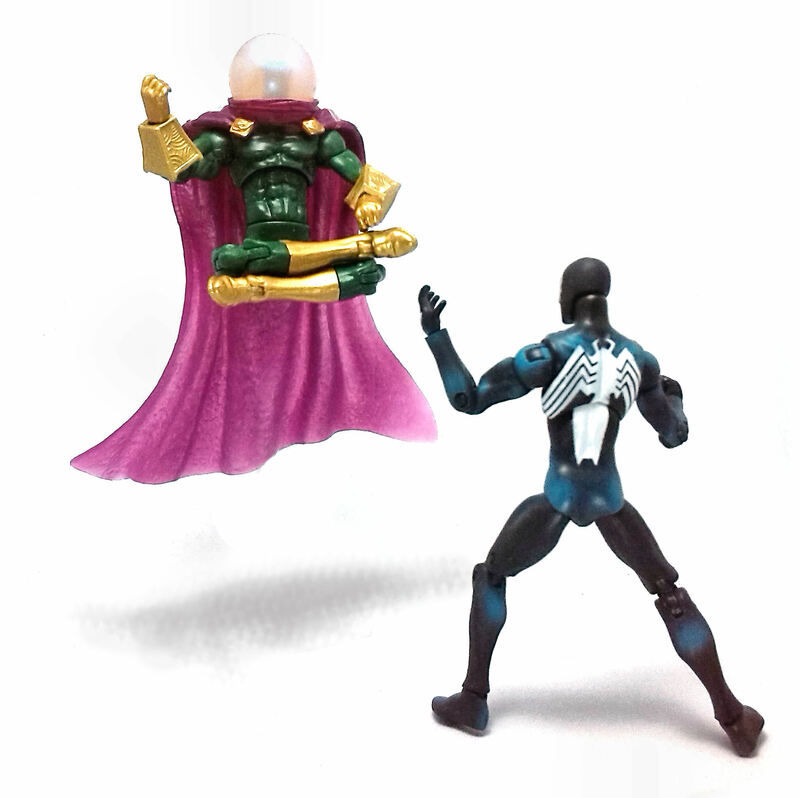 One of those happens to be Mysterio, the master of illusion and special effects. 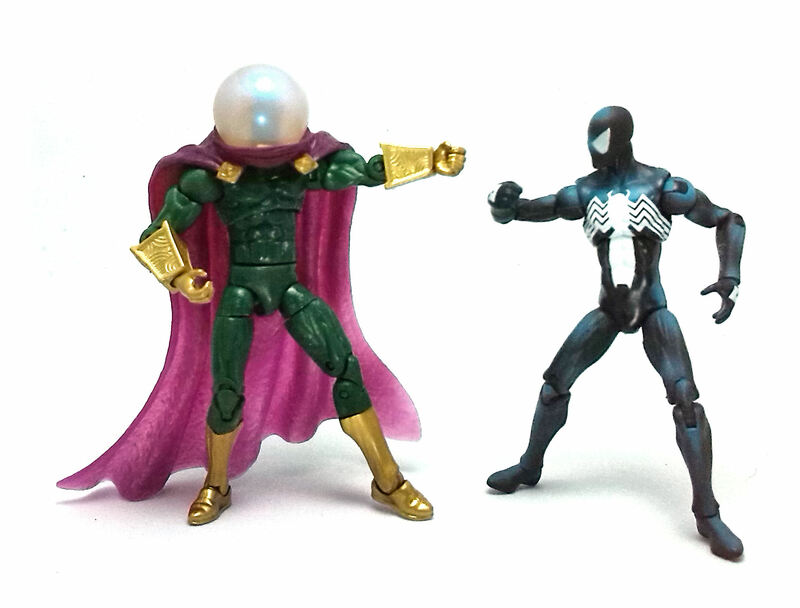 There was one particular episode that got aired repeatedly on local TV, featuring Mysterio, whose image got pretty much branded into my brain. 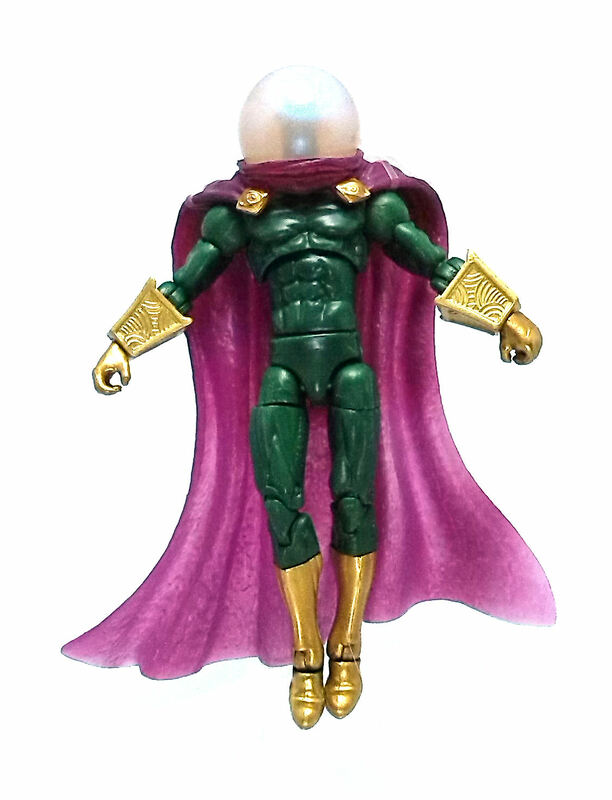 Hasbro waited until Series 5 in the Marvel Universe line to produce a Mysterio figure, using the updated athletic male body mold with a few uniquely sculpted pieces to complete the costume. These unique elements come in the form of the characteristic fish bowl helmet and cape, as well as the angular engraved bracers. The helmet is a spherical piece glued to the cape mold, which is sculpted in a flowing, dynamic shape. Under the helmet, there is a fully sculpted but unpainted face that appears to have been developed with some other character in mind (say, Chameleon?). This is a very clever way to entice people to buy a second Mysterio figure and try to customize it, which would not be that difficult to do, considering both bracers can be removed with a little effort and the base body is a really excellent design. Seriously, there are Marvel Legends figures that don’t have as much articulation as this guy. Unfortunately, this character design limits severely the usefulness of all these joints, since the rubber cape/helmet combo negates neck movement and prevents the rest of the joints to be used to their full capacity. 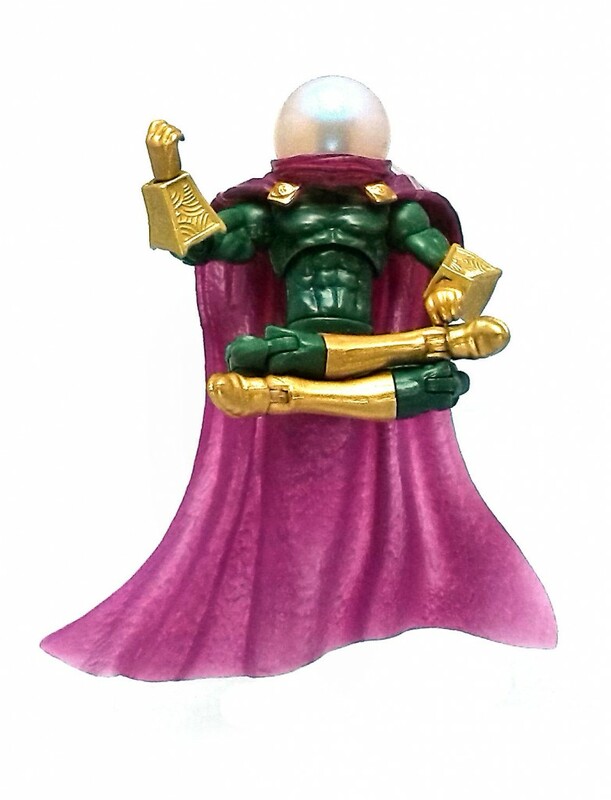 But Mysterio looks really good, particularly because of his decoration. 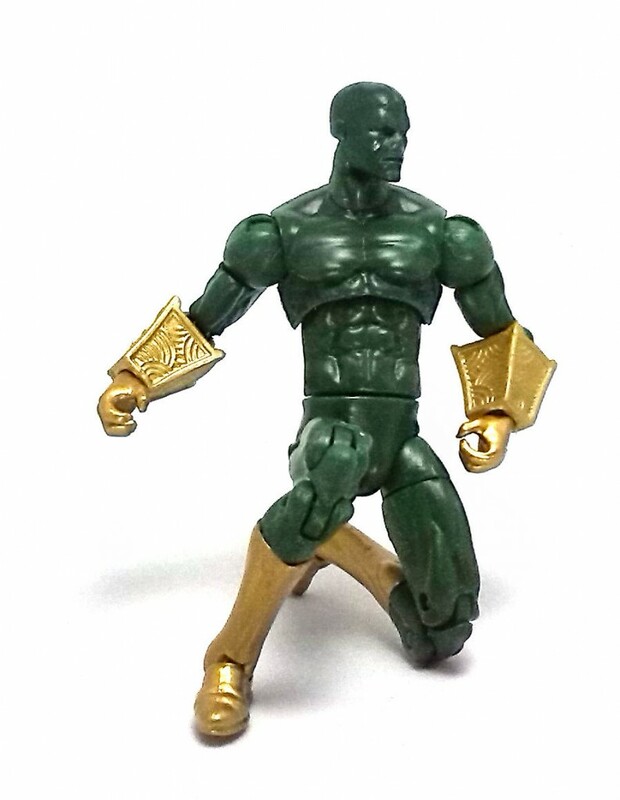 The body itself is molded in a dark green plastic, with only the bracers, hands and boots painted in a rich, bright gold color. 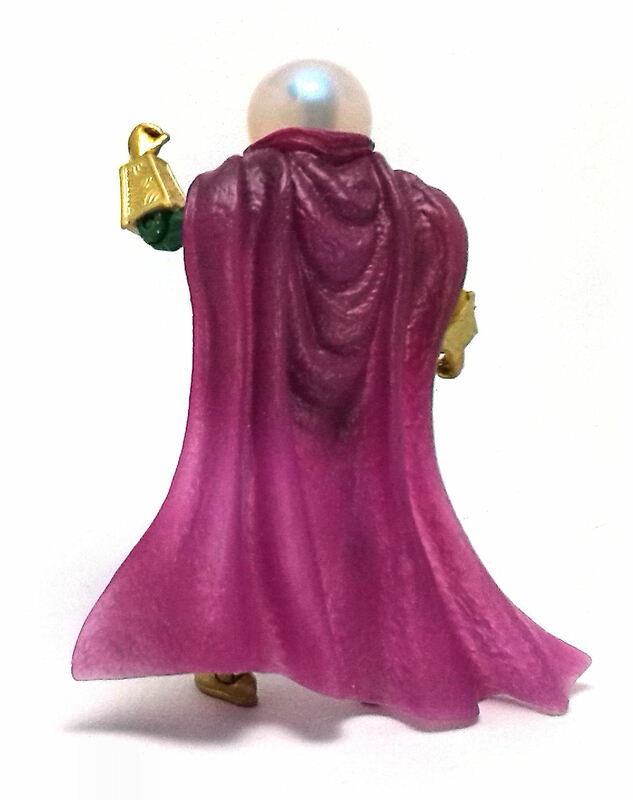 The cape is made from a translucent material and tinted with a purple gradient fading down from top to bottom. The fishbowl helmet itself has a coat of pearly-iridescent paint that obscures the facial features and provides a warm gloss to the piece. 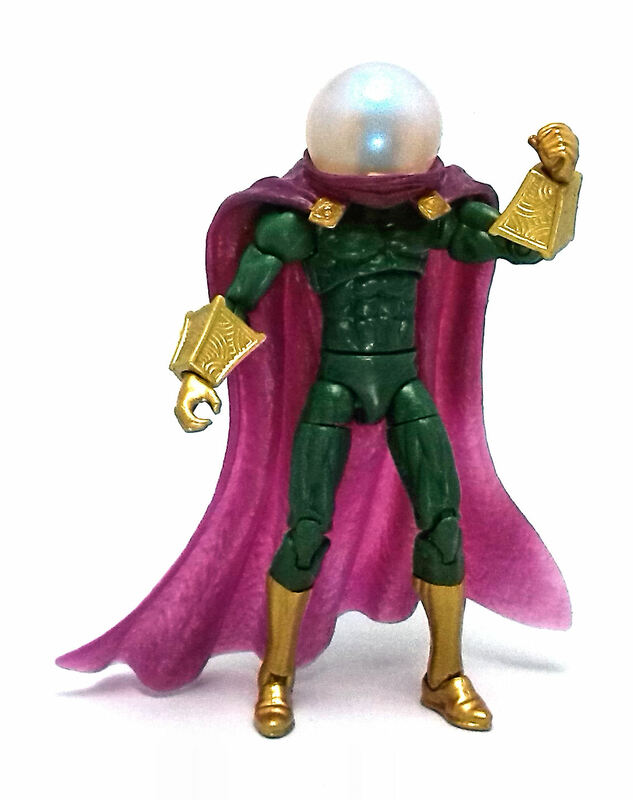 At some point, I became really frustrated by the cape limiting the articulation of this figure, but in the end I have to admit that Mysterio is one of the more striking figures Hasbro produced in this series.